Standardizing work refers to the standard way in which a value-adding job needs to be done. The standard should involve the work elements, the work sequence, the tools needed, the equipment needed, the material needed, and the amount of time it should take. Not working the best way can harm patients as a result. Establishing a standard is the foundation of continuous improvement. If there is no standard, how will I know whether I have improved or not? Also, if the job is not being done the same way every time, how can we get consistent quality and productivity? Instead of living with daily problem, standardization allow solve of common and daily problems freeing time for healthcare professionals to do the value-added work and act pro actively to solve uncommon problems and daily pop ups. Not having standard in medical care processes can lead to miserable results. Indicated in CBC News, one of the hospitals in England called Northern Health had 10,000 patients over three years had procedures with endoscopes that were not properly cleaned. There was an incorrect step during the sterilization process. Proper standardization removes wastes, maintains quality, controls variation, improves productivity, prevent operation mistakes and accidents. Improper standardization, however, can amplify problems. Forms that patients must fill out often are a frustrating holdup, so a standardization process that adds to the forms patients must sign will not improve things. Great hospitals in the United States and Japan have introduced standards through all levels, including their CEOs, presidents and directors. While senior leaders likely will have less of their time covered by standardized work, many organizations have a standard for what leaders and managers should look for in gemba walks. A standardized work process should be used to train the new staff and educate patients. Don’t rely on previous time studies recorded at the engineering office. Eliminate any wasted motion and waiting times. Don’t include any walking time in the work elements. Don’t include any non-value-added work. Measure the time of each work element separately. Don’t include only the total time of the job. Standards should be an output from process mapping. Human time usually should be separated from the process time. Allow people to share their ideas for improving their work. Use auditing to ensure people are working to the standard. If the standard is not being followed, leaders must ask why. Leaders should work with employees to improve standards and remove any obstacle. Standardization should be a part of any improvement efforts to achieve the organization’s vision and goals. Forcing people to follow a standard because management needs to make things look better is not what adds value to the customer. Industrial and systems engineers are often reminded that patients aren’t widgets, so manufacturing principles might not always apply. And it’s true that standardization may not be done for all processes. But standardization can benefit many processes that affect patient safety. 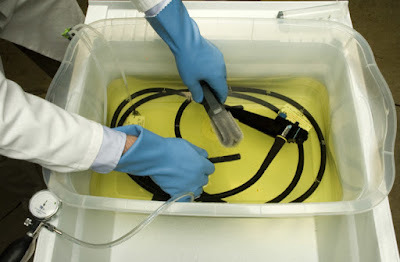 As presented by Mark Garban in Lean Hospitals Hospitals should have common processes for hand washing and hygiene, preparation steps for cardiac surgery, labeling patient specimens, administering medication, communicating with patients and cleaning and disinfecting patient rooms. Examples of standardization problems abound in healthcare. And none are more tragic than those that affect life at its beginning. Take the case of one hospital that performs intra-cytoplasmic sperm injections (ICSI). On the day the clinic retrieves the woman’s eggs, the couple has to wait for three hours in the patient room to sign forms related to embryo cryopreservation. While the routine form was necessary, the waiting time is unacceptable. If the hospital does 20 ICSI operations per day, this is 60 hours of waste. It will delay patient discharge; making no room for new patients. Standardization also can benefit the process of labeling patient specimens. This is a critical process where incorrect labeling can lead to catastrophe. The American Society of Reproductive Medicine, in a newly published article, says fertility clinics have an ethical obligation to immediately disclose mistakes that could result in babies born with a “different genetic parentage than intended.” That could include inseminating a woman with the wrong sperm, combining the wrong sperm with the wrong eggs or transferring the wrong embryos to the wrong uterus — devastating errors that can result in babies being born to couples that were intended for someone else. Such calamities, experts insist, are rare, and while the body representing Canada’s largely for-profit fertility industry says it is unaware of any cases of “misdirected” embryos here, there has been a smattering of reports of In-Vitro Fertilization IVF mix-ups in the U.S. and elsewhere that have led to emotionally wrought battles to determine legal parentage and custody. In Feb 15, a woman in Poland had given birth to another woman’s child, after her husband’s sperm was mistakenly used to fertilize someone else’s egg. Nowadays many fertility centers use barcodes and involve technology to eliminate mistakes and prevent IVF mix-ups. 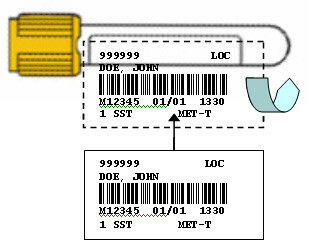 The barcodes are made from polysilicon, the same material as in glass. Each tag is about a tenth of the width of a human egg and can be marked with patterns representing an eight-digit binary code – providing 256 possible combinations. To attach these barcodes to eggs, fertility clinics team uses a protein that binds the carbohydrates on the cell’s outer surface. Following a standard process to check that the right egg is being used, the barcode is simply read using a microscope before going ahead with the IVF procedure. The tag doesn’t affect the egg itself, or the resulting embryo, and is shed by the embryo when it is implanted into the womb. Communication can be another key standard. Adam International Hospital is a fertility center in Egypt that standardizes what doctors and assistants say in the operating room before surgery starts. This has had a remarkable result on patients’ satisfaction and morale. In many cases, educating patients on their medications is very necessary. It usually includes how to take the dosage and the possible side effects, and proper communication is vital. Communicating efficiently with patients and families before surgery also adds value to healthcare services. Acknowledge the person by name, introduce yourself, discuss the duration of stay, explain what you are doing and, finally, thank them. 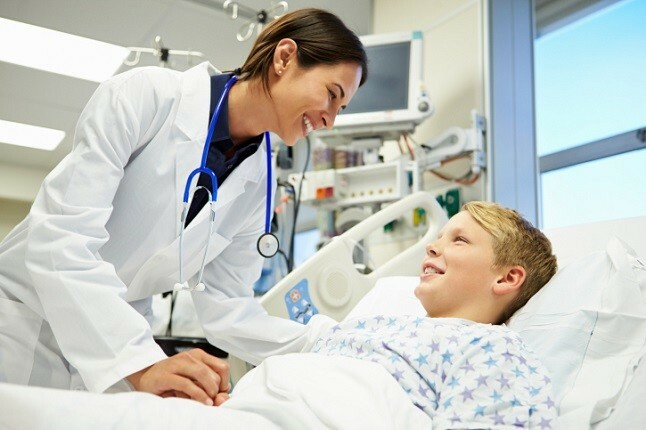 Some surgical processes that are done without anesthesia require patient education and clear instructions. Take the IVF embryo transfer operation. 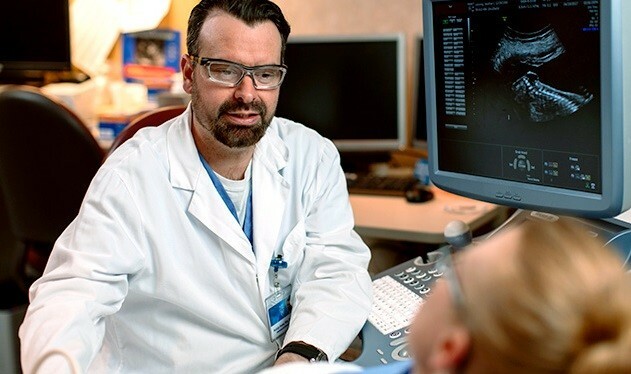 The gynecologist should describe the process to the patient and give her clear instructions. For example, female patients must lie on their back for one hour after this procedure. She cannot move and must keep her head in a flat position. And for the following few days, she must take several precautions and follow a particular diet. Failure to adhere to these instructions could cause the embryo implantation to fail. Healthcare professionals should not use lean approaches to seek direct cost reduction. Their main focus should be on adding more value to patients and improving quality – the cost improvements will come indirectly. It’s very clear that standardized work is the foundation of healthcare quality. 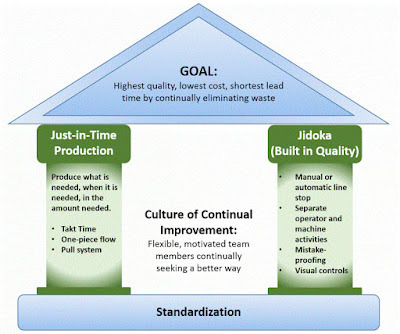 But when applying lean, remember that we don’t standardize processes for the sake of standardization. We do it for consistent quality and productivity. Getting people to follow a standard is one of the hardest parts in lean transformation. People shouldn't be forced to follow a standard without asking their input. People aren't machines, and lean practitioners should always remember that respect for people is an important part of lean. People aren't resistant to change, but they resist being changed, and lean tools won’t work without the correct culture. As presented in Toyota Way by Jeff Liker the critical task when implementing standardization is to find that balance between providing employees with rigid procedures to follow and providing the freedom to innovate and be creative to meet challenging targets consistently for quality, cost, and service delivery. The key to achieving the balance lies in the way people write standard as well as who contributes to them. It’s much easier to involve people working in healthcare in lean transformation more than those who work in manufacturing environments. In healthcare people who do the work are intrinsically motivated by the desire to help people and saving lives. So how do you see the role of standardized tasks in healthcare industry? How standardizing the process helped you eliminate wastes in your organization and empower employees? 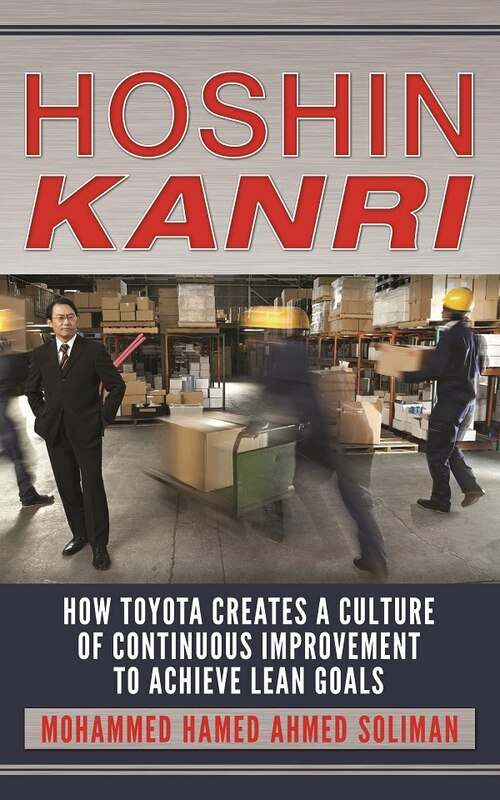 Do you have experience in implementing the Toyota Way in healthcare? How was your success in engaging hospital staff and employees? How was the transformation results? The top management commitment to change? Please share your experience with us! 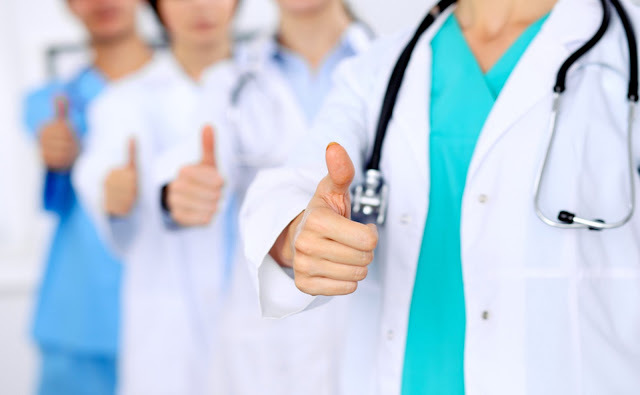 Next article will mention some of the most common lean tools used in healthcare. If you liked the article, please share it using one of the different social media sharing buttons above. And feel free to share it on LinkedIn too! Repairing your foundation can be a headache. This article will provide helpful tips for choosing a foundation repair contractor and method. I find a very good website for the Pharmacy visit , If you want you can visit this site.